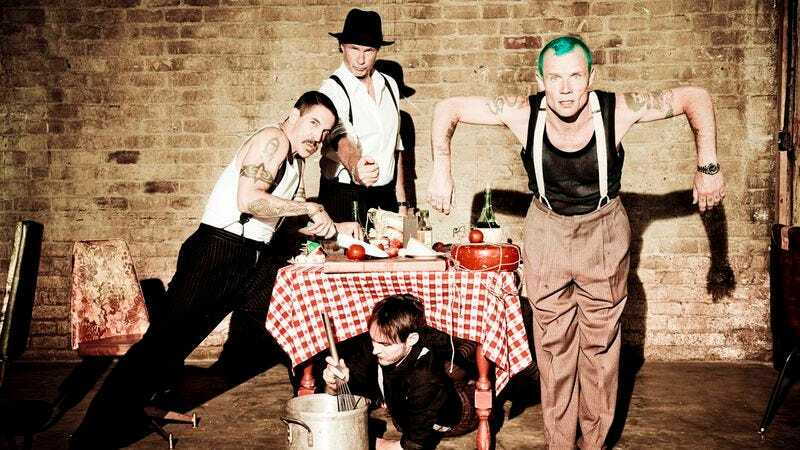 A fairly amazing faux-Red Hot Chili Peppers song is making the rounds online in advance of the band’s appearance Sunday at Super Bowl XLVIII. “Abracadabralifornia” was written by Comedy Bang Bang and Kroll Show regular Jon Daly, and includes all sorts of spot-on Kiedis aping and scatting, as well as a bunch of funny and dumb California references. (“Bing a bong bing a bong a bong Burbank,” for instance.) The whole track is below, but fans should really check out the whole mock RHCP2014 website, which is hilariously well-designed and features all sorts of dumb Super Bowl references and fake Dodge sponsorship bugs.